Robert Pattinson and Kristen Stewart's relationship was always considered one of the most solid romances of the celebrity world. The pair were fiercely private, only hinting at their love with stolen glances and subtle touches. But their relationship was blown to pieces last month when it was revealed that Kristen had cheated on Rob with her Snow White And The Huntsman director Rupert Sanders. She issued a public apology, but Rob is said to have left the home they shared in LA and the pair are even reportedly fighting over their dog. 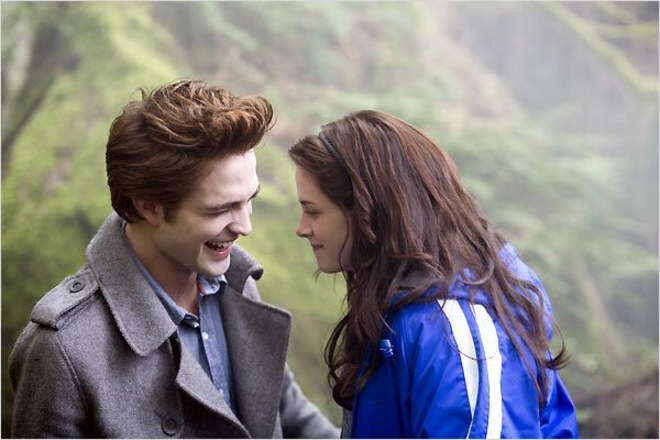 The beginning of their love story: Robert Pattinson and Kristen Stewart as Edward and Bella in Twilight in 2008.